Former first lady Nancy Reagan dies at 94. 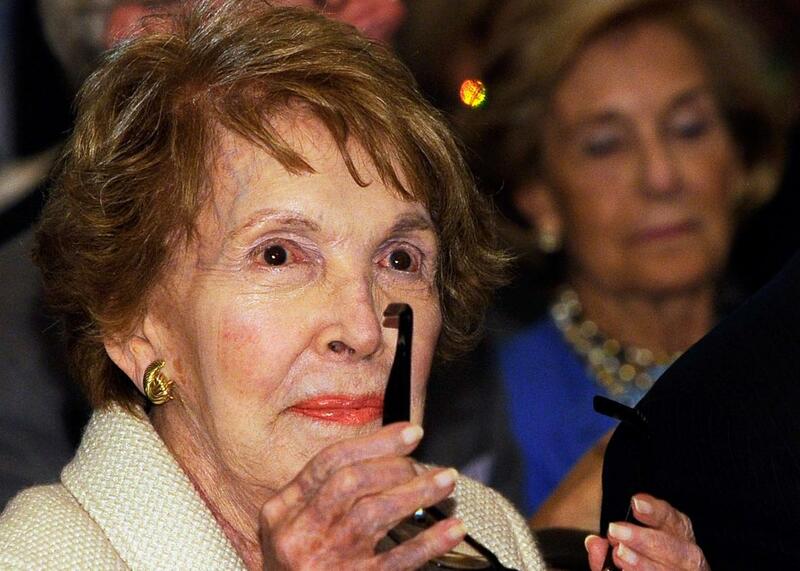 Former first lady Nancy Reagan at the Reagan Library on Sept. 27, 2011, in Simi Valley, California. Former first lady Nancy Reagan died on Sunday. She was 94 years old and died of congestive heart failure, her spokeswoman Joanne Drake said in statement. Born on July 6, 1921 in New York City, Nancy Davis moved to Hollywood and appeared in 11 movies. She met Ronald Reagan in 1951, when he was president of the Screen Actors Guild. They married a year later. Her last movie appearance, Hellcats of the Navy, was in 1957 alongside Ronald Reagan. 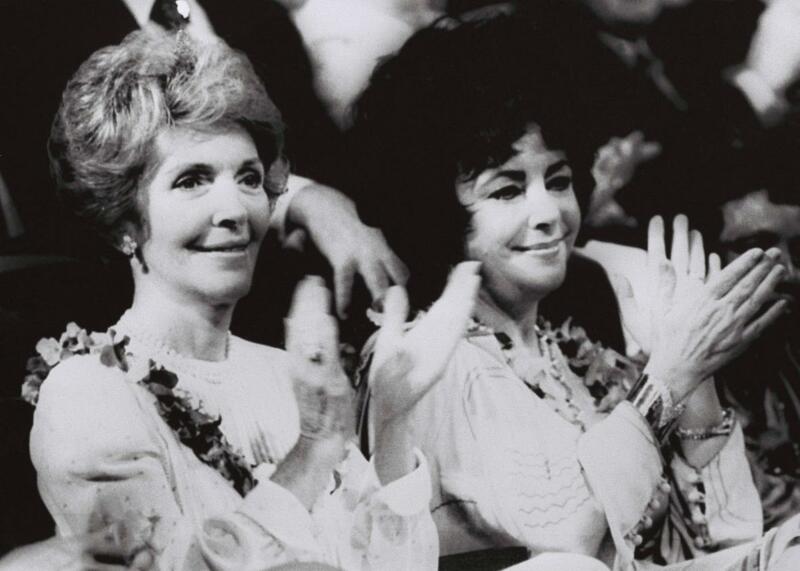 Nancy Reagan and actress Elizabeth Taylor during the GOP convention on July 15, 1980, in Detroit. As first lady from 1981 to 1989, she played a pivotal role in Ronald Reagan’s administration. Her penchant for lavish spending and astrology may have made the headlines, but behind the scenes she had “appointed herself the primary guardian of her husband’s interests and legacy, a bad cop to his good cop, which often put her at odds with his senior staff,” as the Washington Post puts it. 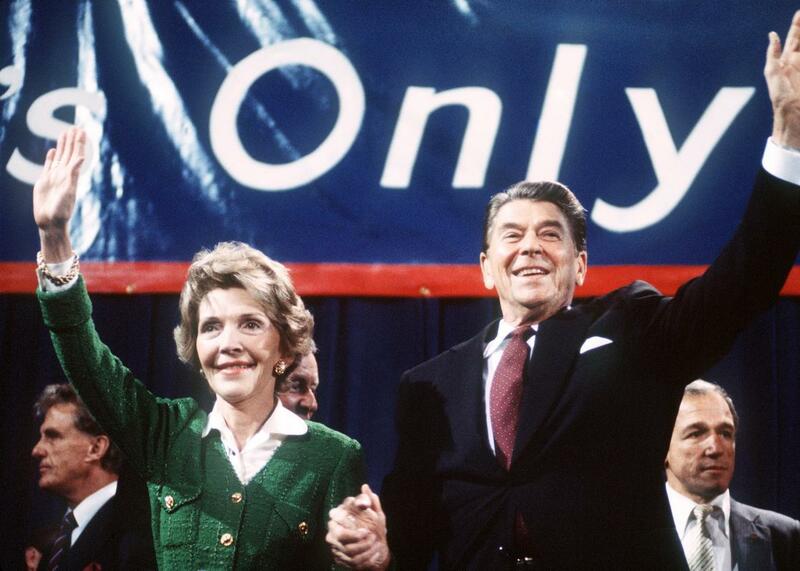 Nancy and Ronald Reagan at an electoral meeting in November 1984, a few days before the presidential election. Nancy and Ronald Reagan celebrate their 36th anniversary at a staff surprise party on March 4, 1988, at the White House. Nancy Reagan proceeded to lobby politicians to promote stem-cell research, a position that often put her at odds with other Republicans. She even got into a public spat with then–President George W. Bush in 2001 for his opposition to the field. The former first lady increased her advocacy for stem-cell research after her husband’s death on June 5, 2004. “She feels the greatest legacy her family could ever have is to spare other families from going through what they have,” a family friend said. 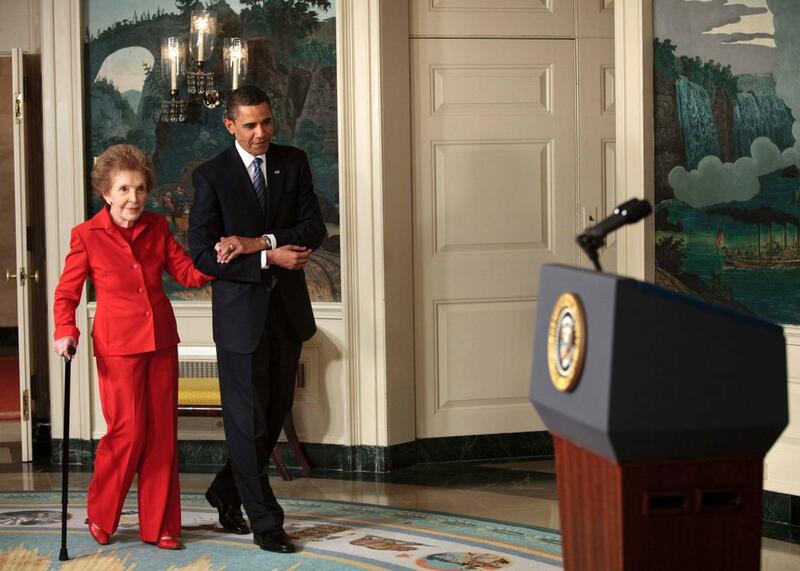 Former first lady Nancy Reagan and President Barack Obama arrive for a bill signing in the Diplomatic Reception Room of the White House, June 2, 2009, in Washington, D.C.
Republican presidential hopefuls Donald Trump and Ted Cruz quickly took to Twitter to express their condolences. 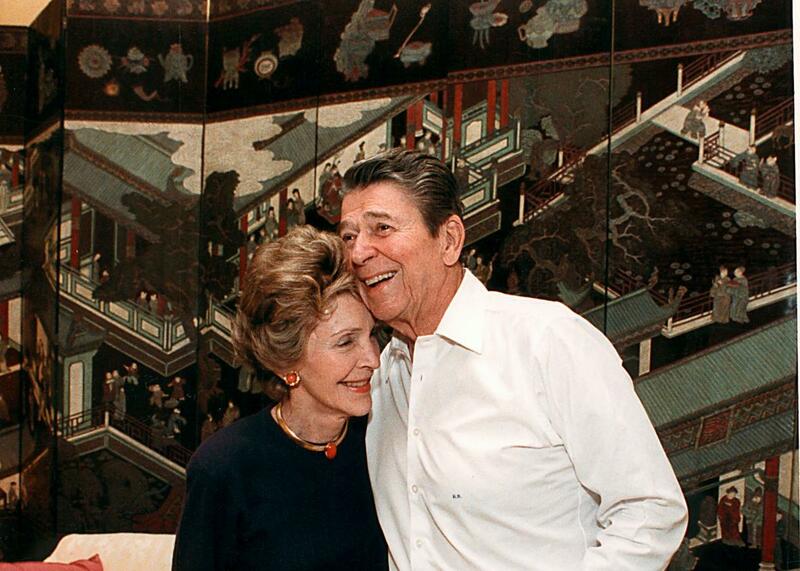 Nancy Reagan will be remembered for her deep passion for this nation and love for her husband, Ronald. The Reagan family is in our prayers. Arnold Schwarzenegger and Mitt Romney also used their Twitter accounts to honor the former first lady. This post has been updated since it was originally published.